The latest trend on YouTube is the destruction of pretty much anything, by a hot, glowing knife, heated upwards to 1000 degrees Fahrenheit (538 degrees Celsius). 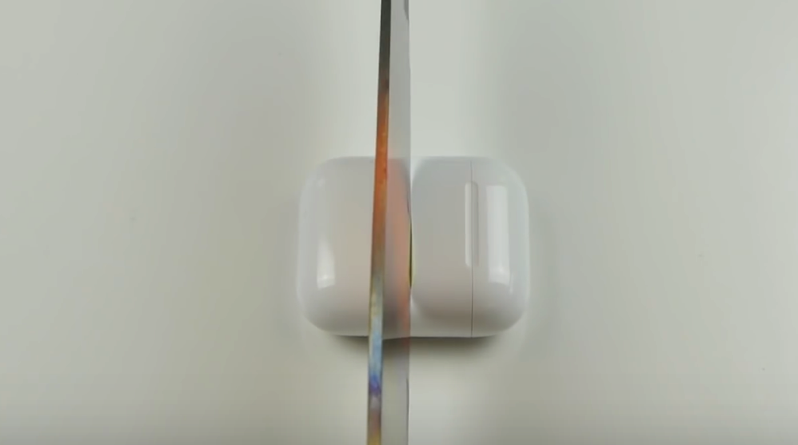 Surprisingly, the AirPods still were able to function when the knife sliced through, as TechRax shows how opening the charging case would still display battery status on his iPhone. Don’t try this at home, folks.